Most Fallout 76 fans tend to express their grievances with the game's ongoing problems via a cynical tweet or a beleagured post on Reddit, but one player has taken the protest to a whole new level. In case you're wondering why any person would go to the trouble of sending a bunch of bobby pins to a video game developer, there's method behind the madness. The item is a rare resource in Fallout 76, but their in-game weight was totally out of proportion with their real world counterpart, forcing players to manage their inventories around something that should have been easily carried. Bethesda eventually fixed the problem, but by then it was too late. The bobby pin became the face of everything wrong with Fallout 76, and it's now a running joke amongst the community, including Bethesda itself. Hence why Todd Howard opened his mailbox one morning to find a box of bobby pins with the words "Weigh these" written on the front. A harmless joke, or one of the most passive aggressive forms of complaining in the history of video games thus far? Regardless, Howard himself is clearly amused. Here's hoping the bobby pin equivalents in Starfield and The Elder Scrolls 6 aren't nearly as heavy. 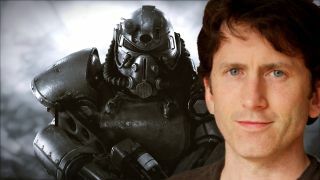 Find out what new games of 2019 from Bethesda are on the way, or watch the video below for a bitesize higlight of the year ahead.